Trademark Registration Chile is one of WDALAW’s preferred markets. 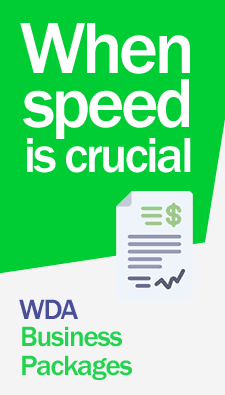 Register your marks in Chile through the WDA legal services lawyers. We register your trademarks with the Customized assistance of our lawyers 365 days a year. Contact us now! The trademarks and trade names in Chile must be requested in accordance with the procedure prescribed by industrial property law in the department authorized for such purposes, within the framework of the provisions on the rules of procedure for all matters relating to the registration of trademarks and trade names in Chile. The trademark registration in Chile after issuance is valid for a term of ten years with the option to renew for similar periods by depositing renewal applications within the legal time limits prescribed by law. With our lawyers specializing in intellectual property, WDA would obtain from authorities, a certification of registration feasibility to ascertaining whether mark in question can be registered or not, in order to avoid rejection of the same after the application is filed. With our service of trademark registrations in Chile, we will keep you informed of all developments until the certificate of registration or title in Chile is issued. The term of a trademark registration is 10 years. This can be renewed for the same period, by filing a renewal application before the expiry date of registration or within the grace period granted for these purposes upon payment of additional fees. Our lawyers keep constant monitoring to avoid the expiration of our clients’ trademarks. For more information on how to register their trademarks in Chile with the assistance of our attorneys as well as for fees and costs, contact us now. 1 – Obtaining Registration Certificates for trademarks and trade names and patents. 2 – Search trademark background or feasibility study, prior to the application of trademarks and trade names. 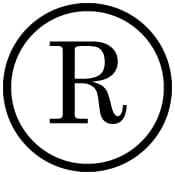 3 – Formal registration of trademarks, trade names patents. 4 – Trademark renewals and patent annuity payments in general. 5 – Amendments and modifications to records. 6 – Oppositions to third-party registration of trademarks, trade names, and patents. 7 – Request of nullity, cancellations, Claims, litigation. 8 – Proceedings against industrial property law violations. 9 – Legal proceedings against counterfeiting of goods, Defense of copyright, trademark and patents rights. For information on costs and professional fees for registering a trademark, commercial name or patent in Chile. Contact us now!